Scope and Content Note: In this photograph, guests attend a military reception at the White House, Washington, D.C. 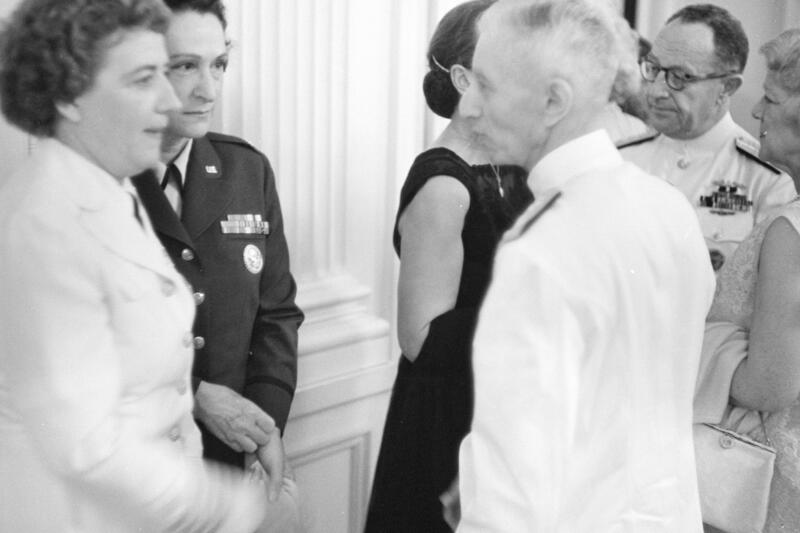 The naval officer in dress whites in the foreground is none other than the head of the Navy's nuclear power program, Admiral Hyman G. Rickover. The female Captain on the left is Captain Winifred Quick Collins. www.jfklibrary.org/Asset-Viewer/Archives/JFKWHP-KN-C22951... Picture of her with JFK.